It’s hard to deny the accuracy of Barnett’s assessment. While Barnett was chatting with that reporter, construction crews were clearing the site for his next supertall tower just one block west at 217 West 57th. 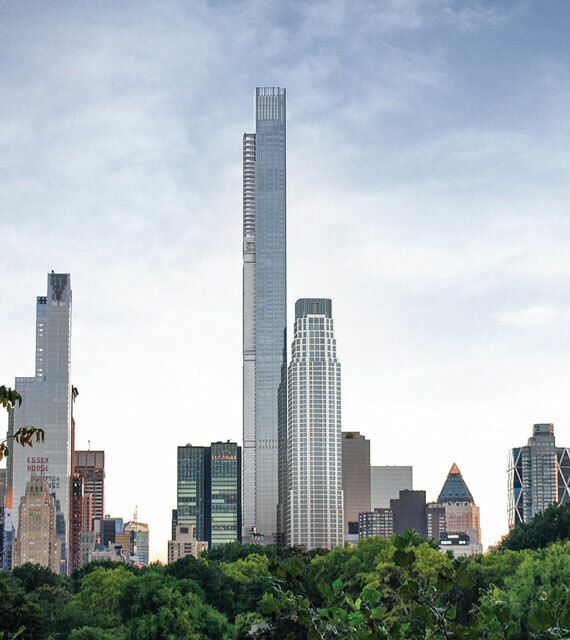 That tower — which was unofficially known as Nordstrom Tower, but has now beenofficially dubbed Central Park Tower — will top out at 1,550 feet tall when it opens in 2019. And like One57, it’s a textbook study on assembling the development and air rights needed to construct a supertall residential building. That process often takes years and involves a level of perseverance not all developers are cut out for. But for most developers, particularly those near Central Park, assembling air rights is key. 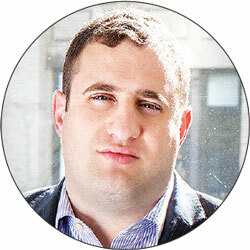 Barnett, for example, spent more than a decade negotiating nearly a dozen acquisitions to put together the 1.2 million square feet of development rights needed for the 183-unit Central Park Tower, which will reportedly have a record sellout of $4.4 billion. 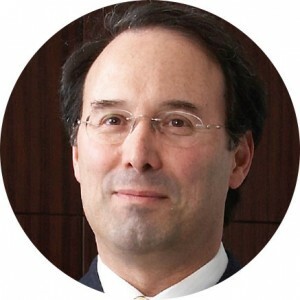 “Gary is the most consummate, patient, visionary assembler of land in the city now,” said Michael Silverman, the co-chair of the land use group at the law firm Kramer Levin, which advises Barnett and other developers on land assemblages. Here’s a look at some of the key deals that allowed him to go big at Central Park Tower — along with other key moments for the city on the supertall-tower front. Trump World Tower opens at 845 United Nations Plaza on the East Side. At 861 feet, it claims the title of the city’s tallest residential tower. Two years later, around the time that the Time Warner Center opens at what now seems like a modest 750 feet tall, Barnett is quietly negotiating to buy a controlling stake in the group that owns the former home of the Hard Rock Café a few blocks away at 221 West 57th Street. Extell closes on the Hard Rock deal as well as a property directly behind it fronting 58th Street, paying a total of $67.5 million. Together, the properties give him about261,080 square feet of development rights, and become the first pieces of Central Park Tower’s footprint. 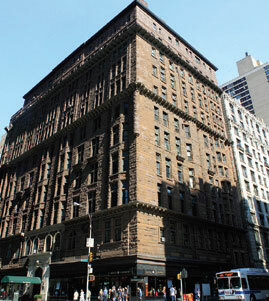 Barnett negotiates with the Art Students League of New York, a non-profit school whose alumni include Jackson Pollock and Georgia O’Keeffe, to buy air rights from its headquarters, which sits next to his site at 215 West 57th Street. The 1892 French Renaissance building is a city landmark. But that doesn’t prevent its owners from cashing out on roughly 136,096 square feet of air rights above it. Barnett leapfrogs to 205 West 57th Street and pays $7.73 million to buy 100,670 square feet of air rights from the Osborne Apartments, a landmarked co-op built in the late 1800s. Rival developer Harry Macklowe closes on his $418 million purchase of the Drake Hotel, which will eventually become the site of his mega residential tower 432 Park Avenue. The building, also the product of a complicated assemblage, claims the title of the Western Hemisphere’s tallest residential tower when it tops out at 1,496 feet in 2014. Barnett continues plugging away at his assemblage for Central Park Tower. He pays $57.5 million to buy the B.F. Goodrich Company Building at 1780 Broadway, plus two other contiguous properties that form a rough T-shape next to his site. When the city moved to landmark the properties three years later in 2009, Barnett struck a deal that allowed him to demolish the two smaller buildings in exchange for preserving the ground-level façade of the 12-story “Automobile Row” building and incorporating it into his development. The deal netted him 156,050 square feet in development rights. Barnett locks down a narrow, 20-foot-wide lot wedged between two puzzle pieces on the 58th Street side of his site. He pays $14 million to the building’s owner, Robert Neuwirth, a prominent gynecologist, adding another 20,250 square feet to his tower. Barnett closes on a $2.23 million air-rights purchase from the 16-story St. Thomas Choir School at 202 West 58th Street. The move fetches him about 11,984 square feet in additional rights. Barnett snags another 14,290 square feet, paying $3.7 million to the estate of legendary developer Sol Goldman for the air rights over a 13-story apartment building at 200 West 58th Street. In the midst of the global recession, Extell breaks ground on One57, ensuring its status as the first among the city’s supertall towers when it tops out at 1,004 feet. Frank Gehry’s 8 Spruce Street opens Downtown. At 891 feet tall, the rental building, which was developed by Forest City Ratner, becomes Manhattan’s newest trophy tower. Extell announces a partnership with the department store Nordstrom to open the company’s first NYC location. The outpost will occupy seven stories at the tower’s base — hence the unofficial Nordstrom Tower name. In two separate transactions, Michael Stern’s JDS Development Group and Property Markets Group team up to buy Steinway Hall and the ground underneath at 111 West 57th Street for $177.8 million. The building will briefly be the city’s tallest apartment tower at 1,438 feet when it tops out in 2018. That is until Central Park Tower is complete. Barnett pays $25 million for the 20-foot-wide lot at 232 West 58th Street, completing his building site. In return he gets about 20,750 square feet of development rights. Barnett buys 90,371 square feet of development rights from Peter Fine’s Atlantic Development Group. The transaction is facilitated through city’s inclusionary housing program, which allows developers to sell development rights by creating affordable housing. Barnett can thank Atlantic’s 2005 project at 1 East 35th Street for this boost. The Art Students League approves an agreement allowing Extell to widen its building 28 feet to the east by cantilevering over its headquarters. Barnett pays the league $31.8 million for the easement and scores an additional 6,000-plus feet in air rights. It’s also the first time he reveals renderings for the tower designed by Adrian Smith and Gordon Grill, the firm behind the world’s tallest building: The 2,722-foot-tall Burj Khalifa in Dubai. New renderings reveal Extell has eliminated the building’s architectural spire, decreasing the overall height to 1,550 feet.